It has been over a month since I started painting The Curse of Zandri and finally I am happy to report that it was finished last night. The result is not ideal but I quite enjoyed the process. 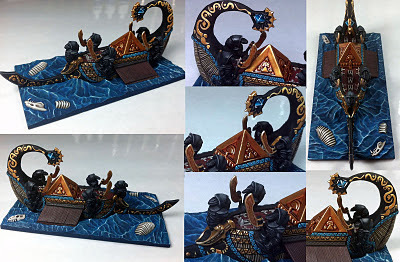 I really hope that who ever wins this ship as part of Adepticon 2012 Dreadfleet project will enjoy playing with it.